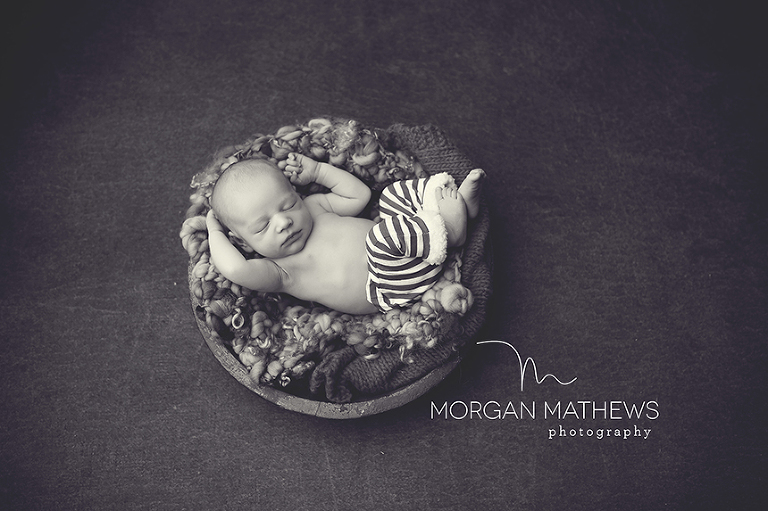 A few weeks ago I was so incredibly lucky and I was able to spend a few days with Kristen of Son Kissed Photography. If you don’t know who she is you have to go check her out! Here is a link to her Facebook page. But I am warning you… it will make you want to have a baby! Click HERE to reach her page. 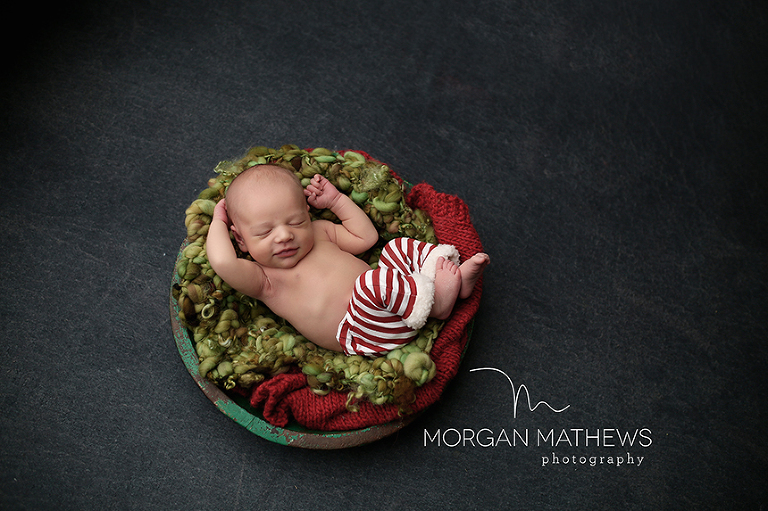 I first went to learn all of my newborn posing goodness from Kristen back in the fall of 2012. I have gone back to Oklahoma 2 different times since then. I love being able to be creative, play with fun set ups, and improve my posing. It is the one time that I go somewhere with out my children and it is always so much fun. I feel like I am able to recharge my batteries on so many different levels. I am so lucky that I have a supportive husband that is willing to take a few days off of work and play Mr. Mom so I can go and continue my education. This baby is Carter. We did 4 different prop set ups with him. That is a ton of props for 1 baby. It took us 2 hours to get them all done, but it was so much fun! 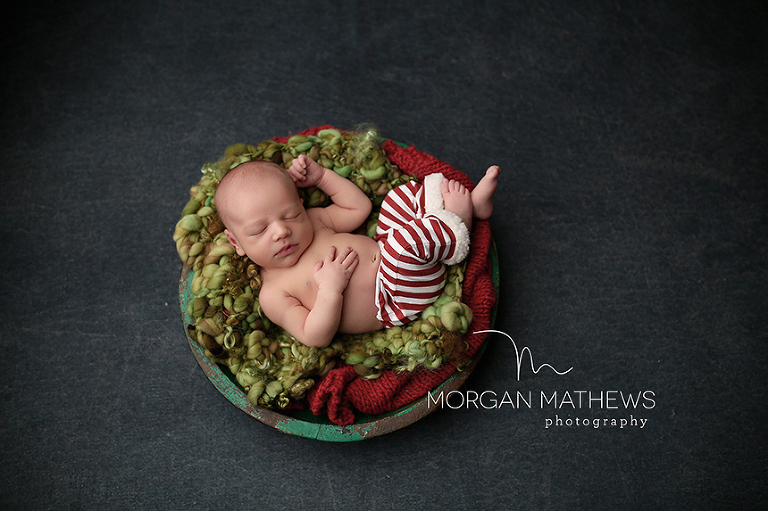 Here is Carter in his first prop. 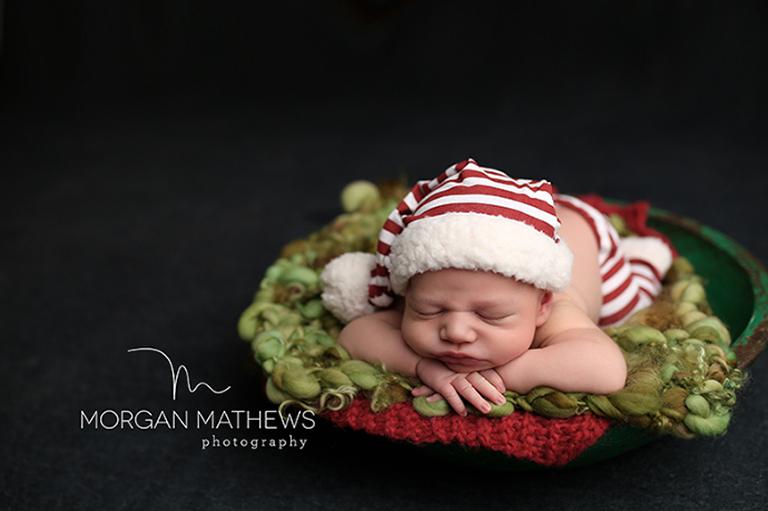 I love Christmas so the fact that we were able to dress this little guy up and do a whole Christmas set up was just the best! I also love that we were able to get so many different pictures from one prop! It is so fun to try out new things. I love how his little arms are above his head. He was such a sweet little guy. His little smile makes this one of my favorite pictures of his whole set ups! For some really great car sets click here, http://www.babyidesign.com/car-seat/.